MileSplit US interviewed Kord Ferguson of Ottawa High School in Kansas, the current national outdoor leader in the boys discus and #2 ranked in the shot put, after Ferguson threw a pair of both then US #1 marks in the shot at 63'7" and discus at 19'2" last Saturday in the Jesuit-Sheaner Relays in Texas. The Wichitate State recruit Ferguson is not finished and content with the past weekend's national best performances as he has big plans and goals this outdoor season to take down the Kansas state records in both events and also earn a spot on the World Junior Championship team for the United States to be held right here in the US at Hayward Field in Eugene, Oregon in late July. MileSplit US: Big weekend for you with two US #1's at the time of the throws in the shot put and discus. Take us through each national leading mark for you and what went right to launch those big throws? Kord Ferguson: It was a very fun experience for me and I felt that opening the meet at those throws was a good start but it wasn't what I thought it was going to be. My practice throws have been much farther and I expected it to be quite a bit farther but I will build on that from now on. MileSplit US: Which event came first at the Jesuit-Sheaner Relays? Discus or shot? Did the US #1 mark in one event feel like it generated a lot of momentum when you stepped in the throw circle for the next event? Ferguson: I threw shot put first at the meet and coming off that throw I was excited for setting our school record and having a personal best, but I wasn't aware that it was number one in the nation. 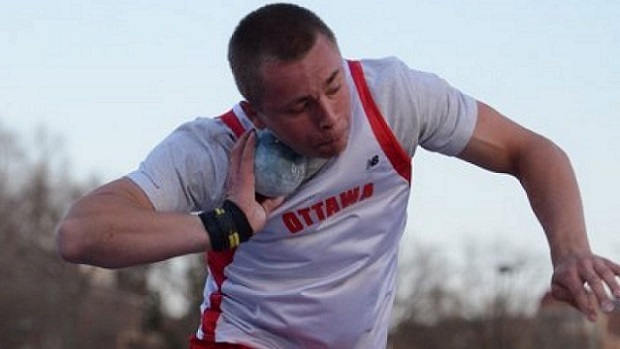 MileSplit US: Its been rare for you to throw ever under 60 feet in the shot put. Can only one see one mark under 60 feet in a major meet since last April. How are you able to remain so consistent over 60 feet? Ferguson: In the shot and discus both I believe that once you figure out how to throw big, you will always throw big. I really practice on being able to throw consistently and not just having one good throw and the rest be very different. I like to be very consistent. 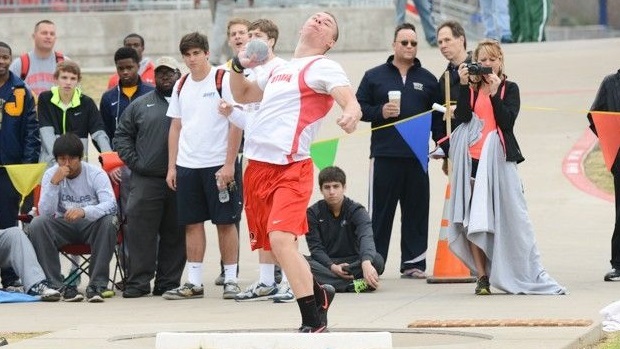 MileSplit US: Last May, you nearly broke 200 feet in the discus with a 199'1" mark at your regional meet. How much is that 200 plus foot throw on your mind this spring and what will it take to get it done? Ferguson: It is on my mind every time I step into the ring. In training, I have eclipsed the 200 foot barrier almost every time. I believe that going over 200 will be a regular occurrence for me and hopefully go beyond even that. 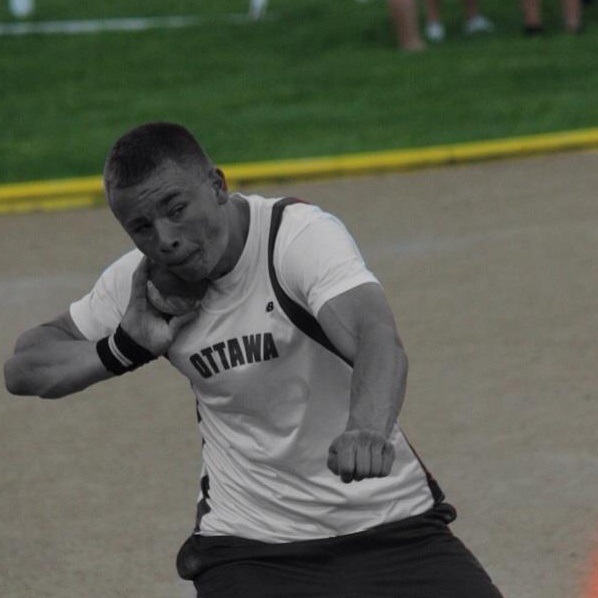 MileSplit US: How did you first get introduced to throwing? Ferguson: I started throwing in seventh grade when I went out for track in middle school. MileSplit US: What kind of strength training regiment and work have you done in the weight room regularly to continue to build into a more powerful and explosive thrower? Ferguson: I take the weights very seriously and have a very strong passion for strength training. I write most of my own workouts but I also have a weightlifting class I take at school. MileSplit US: Who are your coaches and what influence or impact have they made on you? Ferguson: I have one throwing coach and he has been a great coach for me the past four years and helped me along my throwing career. Next year I will have an amazing coach at Wichita State and will look forward to getting to train with him. MileSplit US: What are some of your favorite things to do outside of competing at track & field meets? Ferguson: I love the outdoors and getting to spend time with my family and my girlfriend. MileSplit US: What would you consider as your great accomplishment to date? Ferguson: The Gatorade Player of the Year award was probably my biggest achievement because of the prestigious background of the award being one of the highest honors a high school athlete can receive. MileSplit US: What areas do you feel like you need to improve upon the most to become an even better thrower? Ferguson: My strength continues to get better as well as my technique getting polished every day to become an even better thrower more consistently. MileSplit US: You have competed predominantly in-state and sometimes in nearby border states throughout high school. Do you have plans or considering potentially competing in national meets this year being a top nationally ranked thrower in the shot put and discus? 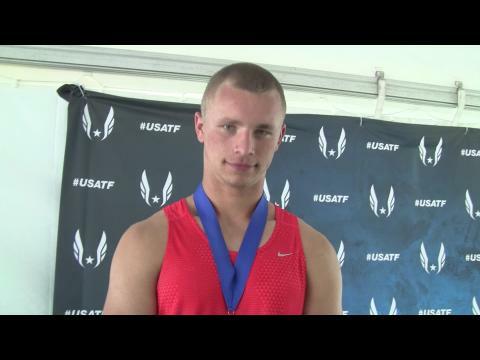 Ferguson: When my high school season wraps up I plan on throwing in some summer meets where I can throw the intermediate level shot put and discus and compete at the US Junior Championships as well as the World Junior Championships. MileSplit US: You have signed with Wichita State. What drew you to the Shockers to become your college destination? Ferguson: I fell in love with everything about Wichita State when I took my official visit it was a great atmosphere to be a part of and everything that they do their for their athletes. MileSplit US: You had several offers to compete in football at the next level, but opting to focus on throwing in college. What were the ultimate deciding factors to make track & field your primary athletic focus in college? Ferguson: I love football, but I truly have a passion for throwing and that was the deciding factor to continue my track and field career in college. MileSplit US: What are the remaining major meets on your outdoor schedule? Any meets that you are particularly looking forward to? Ferguson: The major track meets I am extremely looking forward to this year are the Ottawa Invitational, the Kansas Relays, league and regional meets then finally the state track meet at Wichita State University. Being able to compete there for the state meet for my last high school meet ever and for it to be my future home will be something truly special. MileSplit US: What are your remaining goals or marks that you would like achieve before you graduate? Ferguson: Before I am done this year I would like to be the number one all-time Kansas thrower in both shot put and discus. I will need to throw better than 69'1" in the shot and 213 feet in the discus.